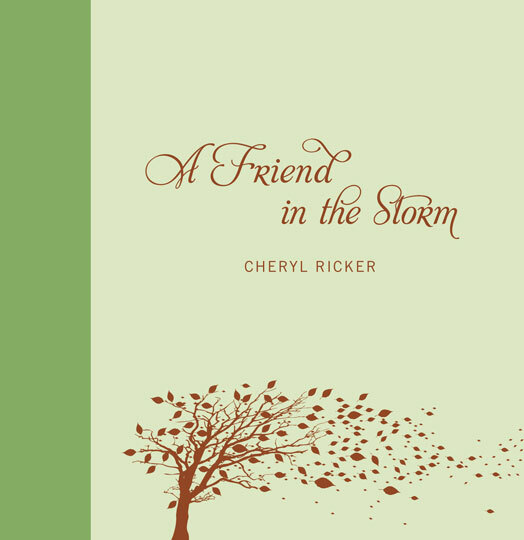 Cheryl Ricker is hosting this great contest over at her website during the blog tour for A Friend in the Storm , Zondervan’s latest innovative gift book of quotes, Scripture and poetry that leads to lasting hope! Since this book covers matters of the heart, Cheryl wants to hear from YOUR heart! In the midst of any type of loss, grief or crisis, A Friend in the Storm takes you on a healing journey where you experience Christ’s love in a fresh, memorable way. Now she invites you to submit an original poem, story or snippet about a time when someone was a friend in your storm… and she's giving you the opportunity to win a KINDLE to do it! Head on over to her Contest Page on her website to find out how to enter! On October 3rd, she will randomly select one winner to receive a brand-new KINDLE! She's also choosing 5 more names at random to receive a signed copy of A Friend in the Storm ! The winners will be announced at her Facebook Party on October 4th. The party will take place on Cheryl's Facebook "A Friend in the Storm" Page - go here for all the details. Share Your Storm Kindle Giveaway winners, but she'll also be chatting with party goers, hosting fun trivia contests, and giving away even more prizes every 10 minutes – including signed copies of A Friend in the Storm, and gift certificates to Amazon.com and Starbucks.com! Share this on FACEBOOK: Want to help someone who’s hurting? 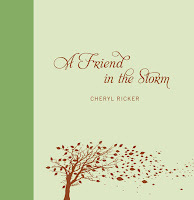 “A Friend in the Storm,” Zondervan’s latest gift book of quotes, Scripture and poetry, is helping thousands find lasting Hope! Go here http://ow.ly/2BYiN to enter to win a KINDLE! Share this as many times as you like – just email amy@litfusegroup.com by October 4th and let her know how many times you tweeted/shared on Facebook, twittered or blogged about the contest. Each ‘sharing’ represents one entry into the contest. Another way to ‘share’ the contest is to add this button to your blog or website. Adding the button is worth ten entries into the contest! Simply copy and paste the code in the text box below into the html screen of your blog/website, then send Amy an email letting her know that you added it along with your URL and she’ll toss your extra entries into the pot.